Fires in buildings are unpredictable and can spring up at any time for a variety of reasons. Stay safe by installing a warning system that alerts you once a fire starts. We have available a wide variety of fire alarm systems from top manufacturers. Each system possesses unique features and you can select the one that best satisfies your needs. Our experts can install the fire alarm system of your choice in any part of your home or office to guarantee the safety of you, your valuables and everybody else in the building. Use our online form now for a free no obligation quote on our fire alarm installation services – or call us on 01273 723600 to arrange fire alarm installation at a time that best suits you. Electrics on Tap are available to provide superior fire alarm installation services throughout Sussex. Our highly qualified team have years of experience installing a variety of fire detection and alarm devices in all sorts of buildings in Brighton. Regardless the size of your property or its architectural design, we can provide you a highly effective fire alarm system that will fully satisfy your needs. The fire alarm systems we have available are all tried and tested. Each one is sourced from a top manufacturer that is recognised for consistently delivering high quality merchandise. By installing only products of certified quality, we can guarantee the efficiency and durability of any installed system. Be assured that a fire alarm system installed by us will stand the test of time and provide peace of mind with regards the safety of your home or office. We can provide as many fire alarm systems for as many rooms and buildings as you need. Dial 01273 723600 today for a free quote or to order a fire alarm system of your choice. If you need a fire alarm system, but are uncertain which will best satisfy your needs, we will be more than happy to provide all the information needed to guide you towards making the right decision. Our experts will help you make that decision by first systematically evaluating your property. By taking into consideration what you hope to benefit (from installing an alarm system) and the information gleaned from the property assessment, we’ll be able to recommend fire alarm options that are best capable of delivering the functions your require. Call us today for a friendly chat and to discover how we can provide you optimal protection against fire hazards. Aside from installation services, we also have available fire alarm testing and maintenance services. We often recommend our clients have their fire alarms checked at least every three months. This test will verify that a fire alarm system is still operational and will function as required in the event of an emergency. If during the test, it is discovered that any aspect of the fire alarm system is malfunctioning, we can promptly have it fixed in no time to optimise the safety of your premises. Why choose Electrics on Tap for fire alarm installation and testing in Brighton and Hove? Every technician at Electrics on Tap has been specially trained to deliver the superior quality of service that we have become recognised for throughout Sussex. When one of our electricians arrives at your premises, you can expect to be treated with the height of professionalism and politeness. Our fire alarm installation services come highly recommended from our clients, because of their durability and high performance – even years after installation. Furthermore, because we are a 24/7 service company, you can call on us any time you need, regardless your location in Brighton and Hove. We are always available to provide the service you need at your convenience. We work fast and leave you with nothing but wholly satisfying results on every job. Proof of our commitment to consistent delivery of superior quality services can be seen in our high ratings on Checkatrade.com. We are also certified by Trust Mark and the NICEIC. Whenever you need a professional fire alarm installer in Sussex that you can trust, you need look no further than Electric on Tap. Give us a call today to find out more. 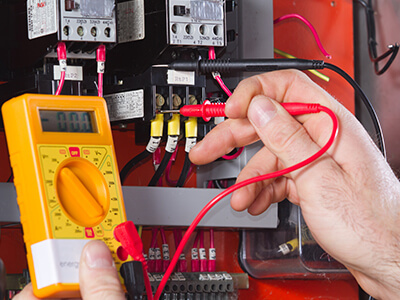 Compared to other professional electrician firms in Brighton and Hove, we offer competitive prices on all our services. Such affordability in no way compromises quality, as we only use the best possible materials to deliver great value and long lasting solutions. Regardless of your budget, we can provide the service you need at a price that you will find agreeable. Get a fast and free no-obligation quote now by making use of our online form. If you are often too busy, we can schedule a periodic risk assessment maintenance schedule for you. 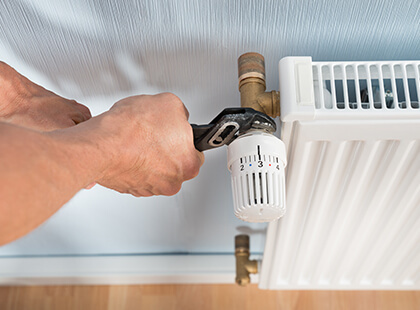 At specified dates, Electrics on Tap electricians will test your storage heaters (and other appliances) to give them a clean bill of health. Following a successful test, a certificate will be issued for your property. Over the years, we’ve worked with tenants, homeowners, business owners and contractors. Through our fire alarm installation services, we’ve helped saved their properties from fire incidents. We would like to provide you the same level of service, so you can sleep better at night and enjoy better peace of mind when you’re away from your property. We have a variety of fire alarm systems for you to choose from and have no doubt that you’ll find one with us that best satisfies your needs. Contact us today on 01273 723600 to order a fire alarm installation service or to book for fire alarm testing. You can also get a free quote by making use of our online form.